Everyone loves NBA basketball! That's why they'll jump at the chance to play NBA Jam - Midway's newest, most exciting video game! 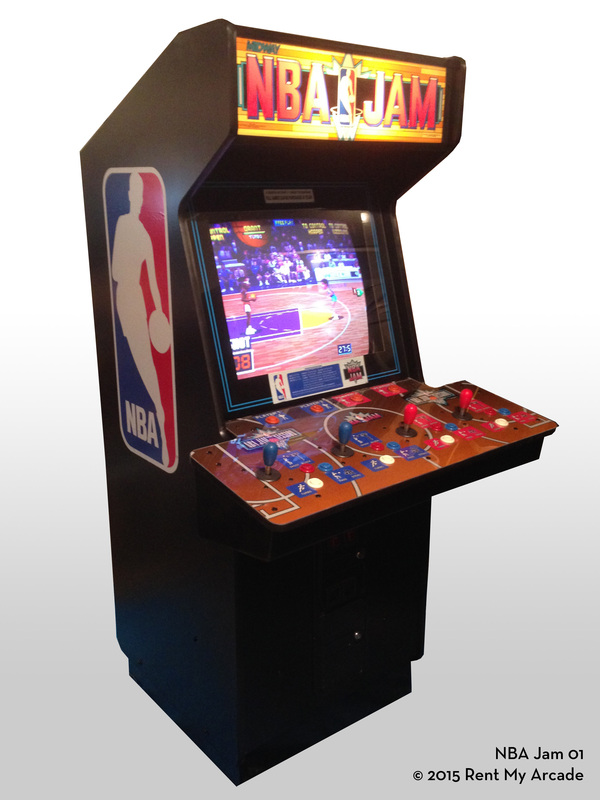 NBA Jam is officially licensed by the National Basketball Association - the first NBA sanctioned arcade product. Players of all ages will thrill to the realistic action from our revolutionary Scanorama™ graphic system. All the moves, shots and slam-dunk excitement of 54 of the NBA's brightest stars come to life in two-on-two action - right at players' fingertips! Don't miss the game of the year. H: 75", W: 36.5", D: 36"